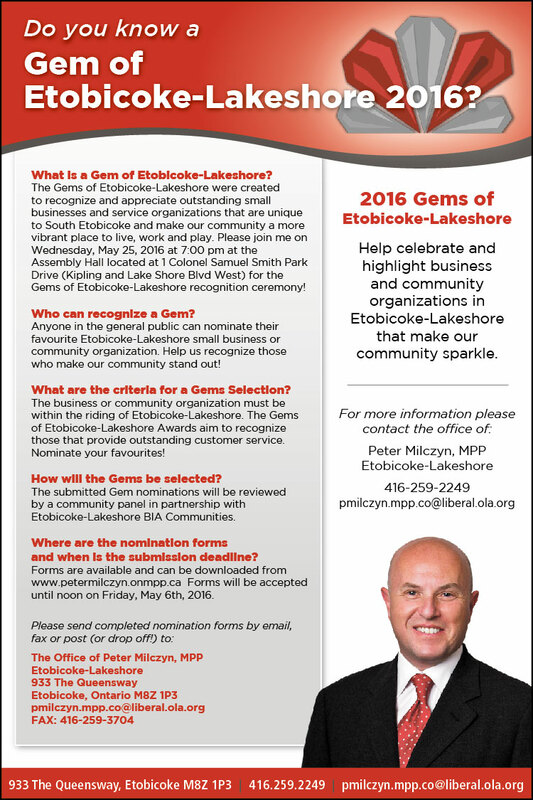 Last year the Mimico Children’s Choir won a Gem of the Lakeshore (hooray!) and we would love to win again this year to show our community how amazing our choristers are! Please take the time to print and fill these application forms and either send them to MPP Peter Milczyn or to me (I can take them up in a pile once we get enough). I’ll have paper copies at Choir this Thursday if that would be easier for you.